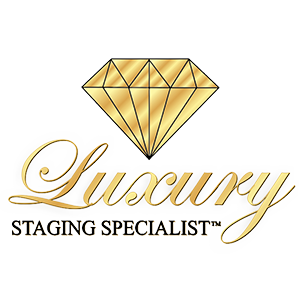 Hope Designs is proud to spread their knowledge of the home staging field with home owners across Toronto, the GTA and all surrounding areas. Lori Howard, owner and principal of Hope Designs, is growing her resume of interviews both in print and on television thanks to her in-depth knowledge and skill in the field of home staging and interior decorating. Lori was recently interviewed by the Town Crier, a local community newspaper in Toronto. During the interview, Lori shared some insightful and professional tips on home staging, as well as how getting a home ready for sale through effective and strategic decorating methods can dramatically increase the selling price, as well as reduce the amount of time on the market. Anything that the seller can do to clean and spruce up the home will make it not only look better in person, but in photos too. After all, photos are most likely the first way that home buyers see properties before visiting them. Unless people are looking specifically for a fixer-upper as a means of investment, home buyers are really looking for something move-in ready. They don’t want to be burdened with work after they move in. Not only that, but any quirky or unique colours and styles should be neutralized before placing the home on the market. A neutral design will appeal to the masses, while bolder colours and patterns probably won’t. “People are very judgmental if they see bright purple walls… that’s a turn off for people because all they see is work,” she said. Hope Designs is a professional home staging and interior decorating company in Toronto, servicing all surrounding areas of the GTA. In addition to making expert suggestions on how to prep homes for sale, Lori also offers project management services to oversee the entire process. From the initial consultation through to the final product, Lori and her team at Hope Designs are there from start to finish. The end result? A home that shows well, garners plenty of attention, and demands a higher sale price. Contact Hope Designs today to get your home ready for the market!